This very attractive Talking Atomic Watch speaks the time and date with atomic accuracy, in a clear, natural sounding, male English voice, making it the ideal aid for those with a visual impairment. The watch automatically resets itself to the correct time when the clocks go forwards and backwards between summer and winter time settings. It does this by using the atomic radio signal which is transmitted from the Anthorn radio transmitter in Cumbria to ensure that both the time displayed on its face and the talking time feature are always totally accurate. 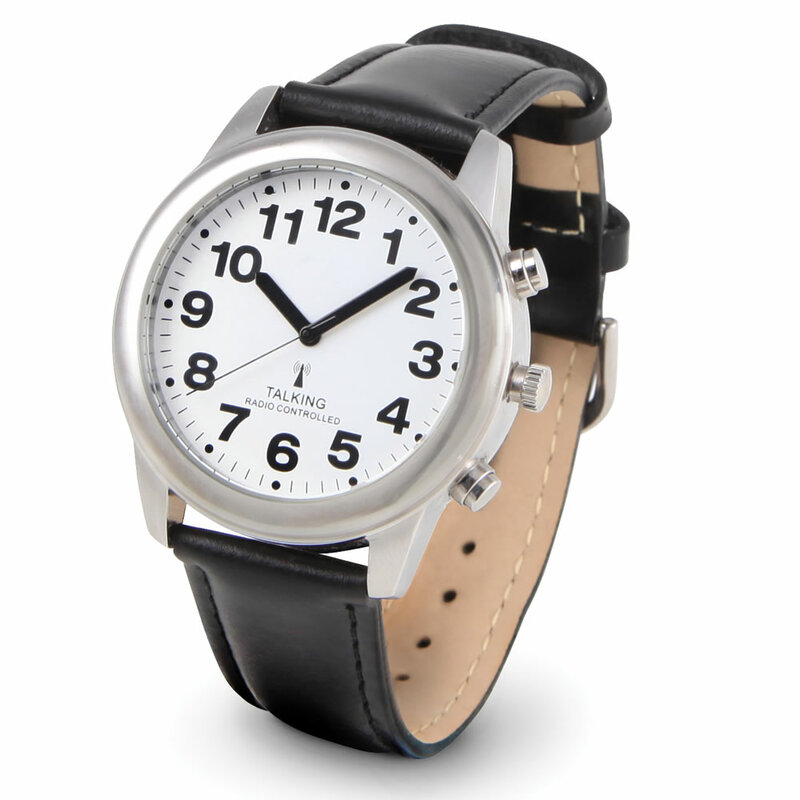 The talking watch features a manual adjustment button for use in countries outside the United Kingdom. The Talking Atomic Watch also has an alarm that can be easily set and gives the user the option of an hourly time announcement, very useful for keeping track of time. The clear speech on the watch, was recorded by the Royal National Institute for the Blind (RNIB), to ensure it was as easy as possible for users to hear and understand. 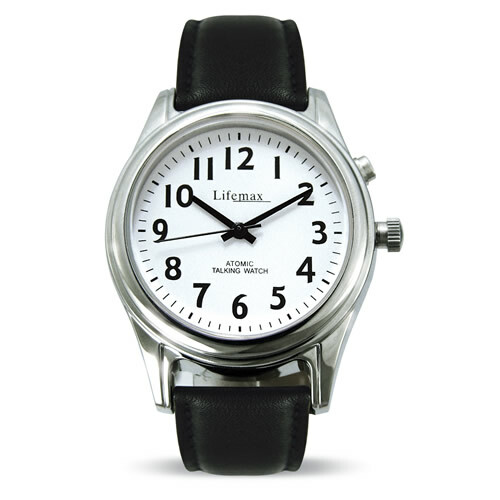 The watch is supplied with a silver tone case with a stainless steel bezel and a good quality, strong leather strap. Battery included.